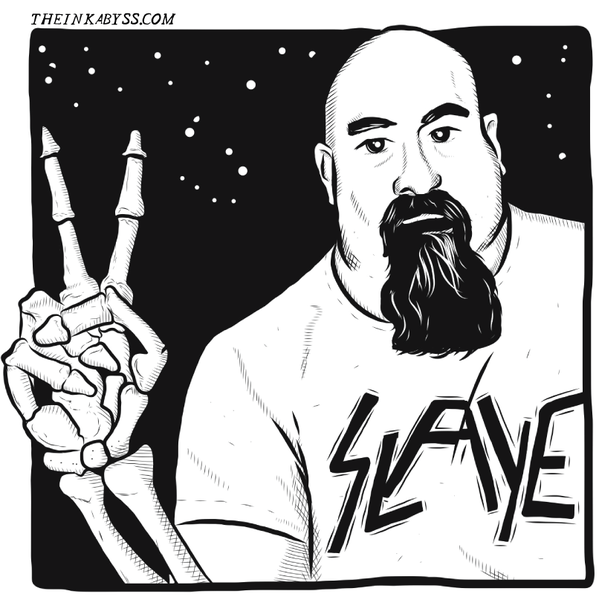 Today’s guest is Armand Rosamilia. A New Jersey native transplanted to sunny Florida, he’s an active member of the Horror Writer’s Association, a baseball and metal music fan, and an expert on everything zombie. Armand is the author of over one-hundred and fifty stories, running the gamut from horror and zombies, to contemporary fiction, thrillers and more. Not one to be hung up on genre labels, Armand’s goal is to write a good story, no matter where the subject matter takes him. Arm N Toof’s Dead Time Podcast – with co-host Mark Tufo, the duo interview authors and filmmakers and anyone else they feel like talking to. 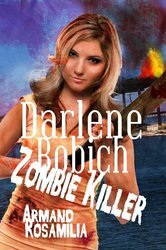 Zombie fans will want to check out his series, Dying Days, which chronicles zombie killer Darlene Bobich’s ongoing efforts to save the day from the undead. Q. I’m having a hard time getting started as an author. I have several ideas but am never able to focus myself on just one. I’ll work on one idea for awhile, get distracted, then before I know it, I’m onto something else and nothing ever gets done. What advice do you have for someone in my situation? A. Just keep writing. I have 5-7 projects going at all times so it never gets stale. I might work on one more than the others (especially if it is already paid for and I have a solid deadline) but the goal is just to keep writing and get your daily words in so it keeps growing. Q. Why are people so fascinated with zombies? Is it the creatures themselves? Is it the fantasy of living in a post-apocalyptic world with no rules? Is it something else? A. Zombies are just cool to me. I know you can do the entire ‘mirror to consumer society mentality’ crap if you want, but they are just interesting to write and read about for me. And we all want to shoot the neighbor in the head but can’t until they turn, right? Q. Do you think zombies are going to stick around in the entertainment world for awhile? Is there another type of monster that could unseat them? A. Everyone keeps talking about how five minutes ago zombies are, but I don’t see them ever truly going away. There will always be a small rabid fan base into zombies. I’m one of them. I’ll keep writing zombie stories until I have nothing more to say about them. Q. What inspired your interest in zombies and moreover, what motivated you to write about them? A. The Rising by Brian Keene. I was always a fan of some zombie movies but his book showed me you can do something unique with the genre. It led me to write a couple of flash fiction pieces and Highway To Hell, an extreme zombie novella. That led right into Dying Days. 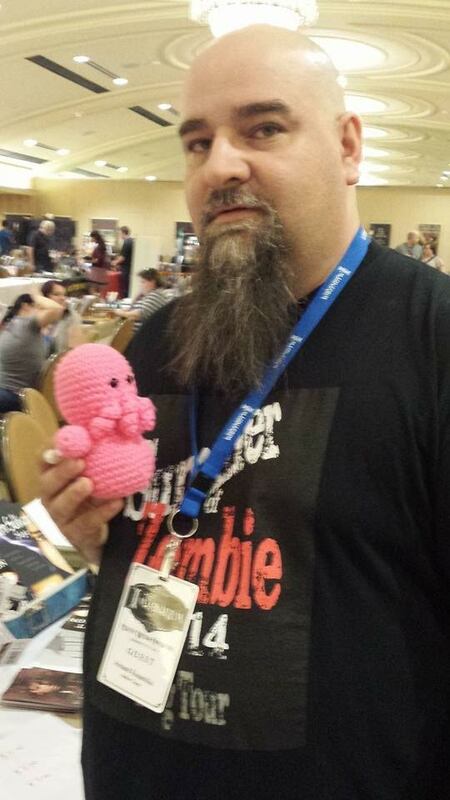 BQB EDITORIAL NOTE: Brian Keene was kind enough to grant me a Twitter interview. Check it out! Q. Regarding your protagonist, Darlene Bobich, one Amazon reviewer wrote, “she is a well-developed character who grabs a hold of you with her guts, fears, pain, uncertainty, and determination to keep going.” There has been a lot of discussion for the need for more female roles in fiction lately. How did you come up with the idea for Darlene and how were you able to portray her in a way that intrigued readers? A. It started out as a flash fiction piece I wrote for an anthology. I wanted to see if I could write a zombie story. The idea was simple: a woman is faced with having to shoot her turned father with the gun he bought her. I loved the character (who is named after a real person, a friend I’ve never actually met on Facebook) and wanted to portray her realistically in future stories. She’s a regular woman. A little overweight, average looks, boring mall job, and no military training. She cries, she has panic attacks and she is just someone you can relate to. Q. You’re also the author of Keyport Cthulhu. Kudos to you, sir, for I’ve always felt Cthulhu has been underrepresented in fiction. So here’s my question. Zombies vs. Cthulhu – who would you put your money on? A. I will not give the odds on it, because if either side wins we all lose. Isn’t that how it works? But it would be a helluva fight to get some popcorn and sit down and watch as the world ended. Q. Thanks for taking the time to talk with me today. Before I go, do you have any last minute advice that might help me survive the East Randomtown Zombie Apocalypse? A. Keep your eyes open and don’t get caught in a dead-end or surrounded by these monsters. Good luck. Armand Rosamilia Interview about… #zombies?! Bookshelf Q. Battler here, back to reblog the awesomness that was the #31ZombieAuthors interview series. Armand Rosamillia, one of the most prolific writers in the zombie fiction game, discussed his Dying Days series, dispensed writing advice and even talked about Cthulhu.